No one knows this better than Howard Bragman. For more than thirty years he has helped prominent people—movie stars, business leaders, philanthropists—get their messages out, in good times and bad. He illustrates his lessons with juicy examples, from Frank Sinatra and Madonna to Coca-Cola and Monica Lewinsky. Whether you're trying to build a business, advance your career, or change the world, there’s much to be learned from Bragman's insights and experience. 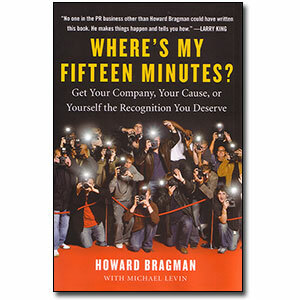 Howard Bragman is an American crisis manager and public relations practitioner, who has been a communicator, educator, entrepreneur, writer and lecturer for more than two decades. He founded a strategic media and public relations agency, Fifteen Minutes, in 2005.